• After losing Game 1 of the Eastern League Championship Series, the Senators needed A.J. Cole to live up to his high prospect status and pitch a gem in Game 2. While the righthander only allowed one run, he did so laboring through four innings before he reached 87 pitches and the end of his night. LeCroy said, “He just ran out of pitches. That first inning was pretty costly.” Cole struggled to put Trenton hitters away and uncharacteristically struck out just one batter in his outing. “They battled and fought some balls off with two strikes and just made him work,” LeCroy expounded. In fact, Trenton fouled off an astounding 13 two-strike pitches against Cole. • Jerad Head was the lone Senator to post a multi-hit game as the designated hitter went 2-for-4 with two RBIs. 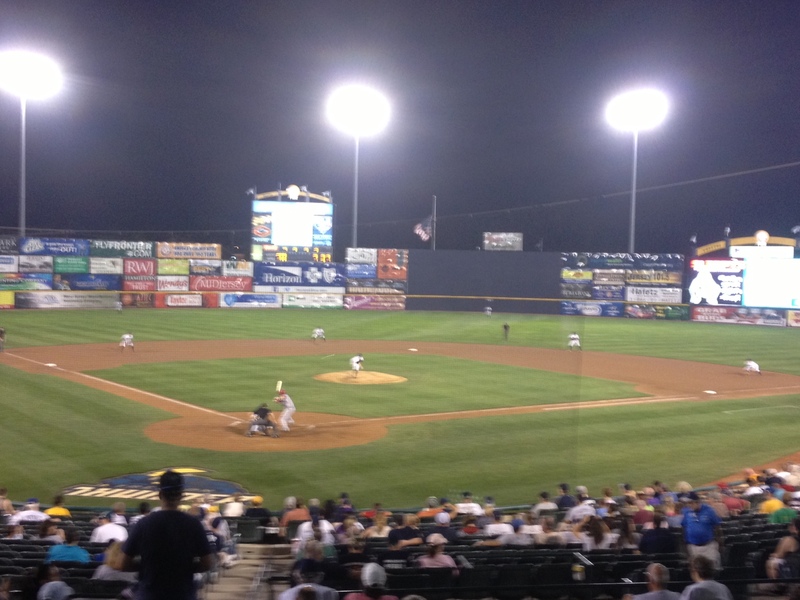 Harrisburg’s other two runs came via a fielder’s choice groundout by Steven Souza and a sacrifice fly by Jeff Howell. • After Howell laced a single to leadoff the ninth inning, Sean Nicol was summoned from the bench to pinch-run for the catcher. With Jason Martinson and his .184 average due up before the lineup turned over, it seemed like an obvious sacrifice bunt situation. Sure enough on the first pitch Martinson saw, he showed bunt. But LeCroy had no intentions of giving Martinson up to get Nicol to second, “He did it on his own. I wanted him to hit. With a guy throwing 97-98, it’s hard to bunt. Plus, you never know, he might run into one.” I believe that’s called the Buster Douglas Plan. • How tough is it to come back from an 0-2 hole in the playoffs? In Major League Baseball, very difficult. Since 1969 when the AL and NL were both split into divisions, only eight teams have come back to win a five-game playoff series after losing the first two games. But some recent history might bode well for the Senators as both the San Francisco Giants and Akron Aeros overcame two-game deficits in the playoffs last season before going on to win the World Series and Eastern League Championship respectively. This entry was posted in Recaps and tagged AJ Cole, Eastern League, Harrisburg Senators, Jason Martinson, Jeff Howell, Jerad Head, Matt LeCroy. Bookmark the permalink.